Morning. My eyes pop open and I hear the wild chatter of birds through open windows, feel the stiffness of an aging back, and immediately run through my mental to do list. I can never return to sweet slumber, but I do enjoy the quiet house, the first sips of coffee, and time to prepare for whatever wild rumpus the day may hold. It’s funny, the difference between summer mornings and deep winter. There’s an element of survival on a January morning — a need for fires and warm layers; for hot, steaming coffee to warm your bones. There’s a wont for thick oatmeal and wool socks. In summer, awakening happens more slowly. There’s time to stretch into the day. Bare feet on a cool floor is so nice in the upstairs heat of an aged house whose only cooling system is an open window and ceiling fan. 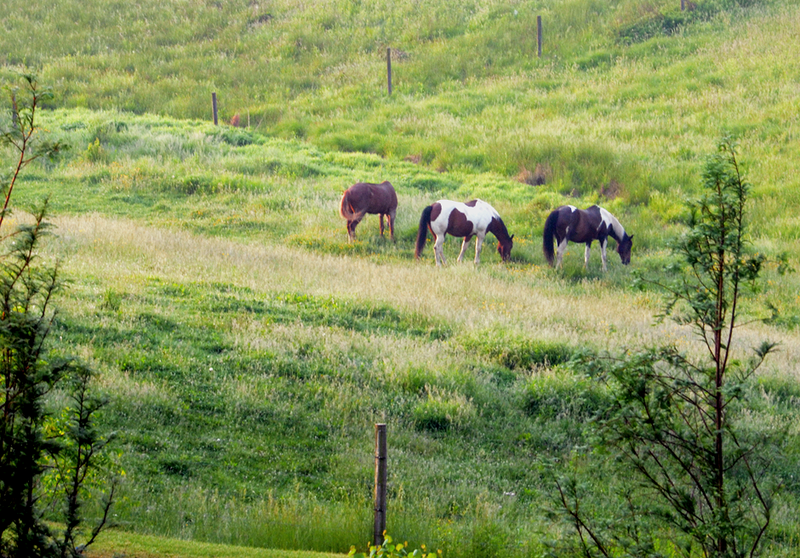 Summer mornings are alive with the calls of feathered friends, the snorts of horses left to pasture in the cool night air. Summer mornings are bright and cheery, promising intense heat and perhaps, a cool repose with an icy Sunday afternoon drink on the porch — something with lemon, perhaps. Enjoy your morning … and your noon and night, friends. I’m a morning person too! I love waking up to singing birds, drinking coffee and greeting (feeding) my little animals.